1. Visa on arrival in Bahrain for 14 days costs about 25 BD and can be extendable if you have Bahrain sponsor. 2. Validity of passport should be longer than your applied Bahrain visa or more than your stay in Bahrain. It is always better if you have a validity of more than 6 months on your passport. 3. Applicant need to show original Saudi residence permit or Iqama having a validity of atleast 3 months. 4. Applicant should support himself and his dependents, He must have return tickets to back to the country from where he came. 5. It is prohibited or not allowed to work in Bahrain, If you have on arrival visa. GCC residents can apply for e-Visa in Bahrain online by following this article "APPLY FOR BAHRAIN E-VISA". 1. If your profession on Saudi Iqama is Laborer, Welder, Plumber, Painter, House Driver, Electrician, Watchman, Mason, Shepherd then you are not eligible for on arrival visa, You should enter through valid visa issued by Bahrain Embassy. If you have white collar professions you can carry with this article. 2. If you are a Saudi Expatriate and you have a valid Iqama, then you can get visa on arrival in Bahrain, You should book a flight ticket to Manaman, Bahrain airport. 3. Applicant must carry his original Iqama or Saudi residence permit, As you need to show it to the authorities. You must request your sponsor or employer to allow you to carry your original iqama with you. 4. 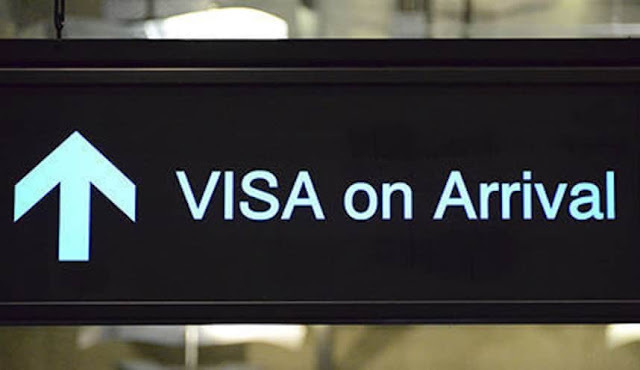 Applicant should have exit re-entry visa to know how to apply for exit re entry visa in Saudi visit this article "Exit re entry visa" you should also issue exit re entry visa for your dependents if you have any, you can read this article "Issue exit re entry for dependents". 5. It is not possible to get on arrival visa if you are a dependent, You should be with your sponsor (Iqama holder) to whom you are dependent. 6. Once you are in Bahrain airport, You should go to Bank counter or to a passport officer to deposit 25 BD on arrival visa fee for each and every dependent along with you. Collect fee voucher or paid receipt from them. 7. Take on arrival visa application form for each and every passport you have. Once you filled the application form, Now rush to eye scanning counter. 8. Once you clear from there, You should go to immigration counter, where you need to present your Original Iqama, Application forms of on arrival visa, Fee paid receipt and passports of all applicants. You can collect your Iqama back, Once everything is fine, He will issue your Bahrain on arrival visa. 9. If you have Bahrain sponsor, It is possible for you to extend this visa.